Javadekar said satirically, while addressing a press conference after his two-day visit to the state. 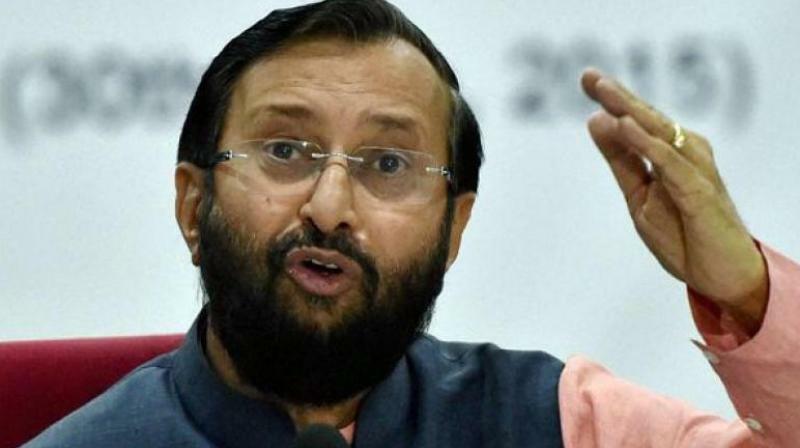 BERHAMPUR: Union human resources minister Prakash Javadekar on Tuesday dubbed the BJD government in Odisha as a ‘PC sarkar’, or percentage government, and said no work here was executed without paying PC to the ministers and officers. “Corruption is all pervasive here. I am told that leaders of the ruling party here and top government officers are charging between 15 to 30 per cent on issue of each work order. In fact, this government is a PC Sarkar,” Mr Javadekar said satirically, while addressing a press conference after his two-day visit to the state. Accusing the Biju Janata Dal (BJD) government of hijacking all central schemes and presenting them as state schemes, the minister said people had understood the BJD’s designs and would vote for the Bharatiya Janata Party (BJP) in next Assembly and Lok Sabha polls. “There is discrimination even in the administration of universal beneficiary schemes,” Mr Javadekar observed.